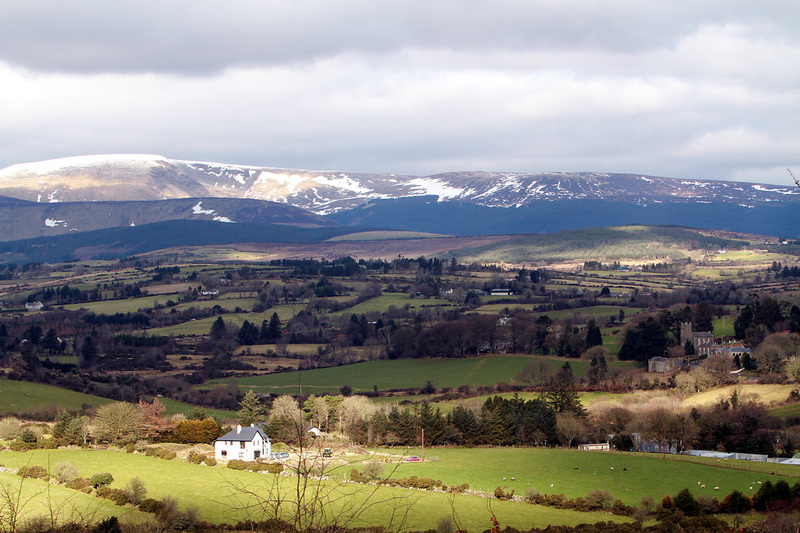 The Wicklow Way passes Kyle Farmhouse near Moyne. 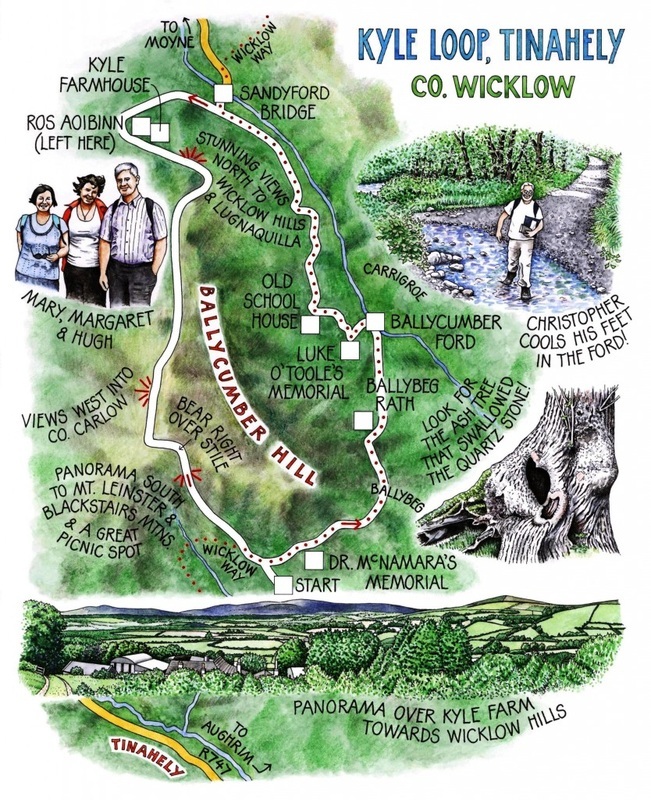 This is a long distance walk which extends from Marlay park in South Dublin to Clonegal in Co. Carlow, a distance of 132km (82 miles). Variety is the great characteristic of this route, which starts in the Co. Dublin plains, climbs into the Dublin Mountains and switches from glen to glen in the high Wicklow Mountains. 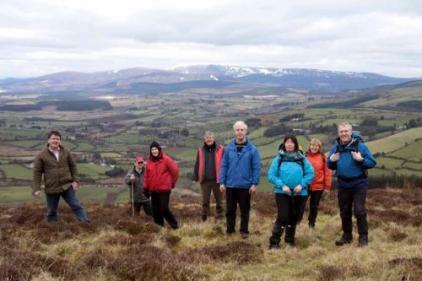 Kyle Farmhouse is an ideal location for walkers walking the last 3 days of the "The Wicklow Way". Transport can be arranged from any point on the walk. We can also arrange transport to or from local Bus or Train Stations. Other mapped walks are also available at Kyle Farmhouse. Suitable for EXPERIENCED WALKERS. Distance: 20km. Ascent: 500m. Walking Time: 5-6 hours. Click here for full details and a map that can be downloaded and printed. The Kyle Loop crosses the Drive way of Kyle Farmhouse B & B. The loop can be started at Kyle Farm. Car parking available.